Dreaming of Calligraphy for Your Wedding? Skip the mass-produced designs any bride can have and let me design exactly what you’ve always envisioned. I started alexandra em. to be a collaborative, stress-free, one-stop-shop calligraphy boutique. I help brides have the invitations and wedding details they’ve been dreaming of, and a design experience that is just as dreamy. I’m the designer and calligrapher behind alexandra em. and I’m so glad you’re here! I’ve been designing for as long as I can remember, and I fell in love with paper and ink long before my husband (just don’t tell him that!). 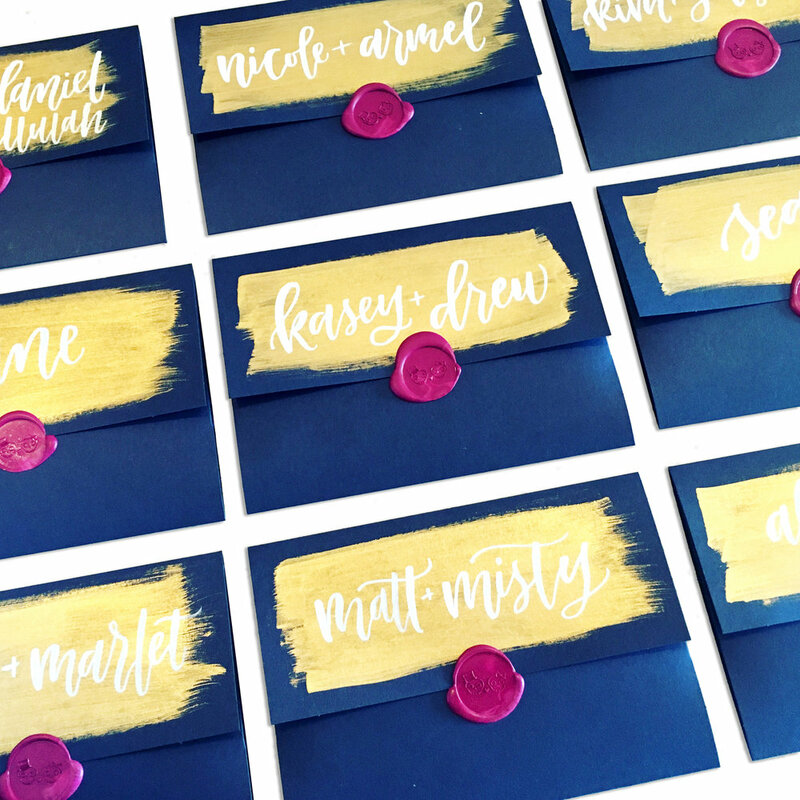 Here you’ll work with someone who’s been there before: I started working with brides after designing and printing my own wedding invitations and fell in love with the process! I create wedding paper and details that let your style shine through, creating truly personalized invitations that are anything but ordinary. I use bold elements and color to put a modern, non-traditional twist on classic wedding design, while keeping everything organized, on time, and stress-free. Your invitations should always remind you of one of the best nights of your life! so glad you asked, click here!